Cab Calloway and Bryant Rollins. Illustrations selected and edited by John Shearer. I’ve been reading autobiographies since I was a child. Whether on upstate Western New York hazy autumn dog day afternoons, warm winter evenings sitting by the fireplace (I’m now aware of how blessed I was as a young Black child to have an actual wood burning fireplace in my living room), spring drizzle days when outside would seem too rainy to play, or hot humid late summer evenings when crickets would chirp loudly into the Town of Tonawanda starlit nights, I would sit reading an autobiography and dream through lives I knew I would never experience. My parents encouraged me to read at an early age. Both enjoyed reading. At times, I think they thought that I read too much, choosing to stay indoors rather than to play outside with friends. But my love of autobiography was cultivated with their indulgence. As an adult music history specialist, I still read autobiographies about all types of people, although most are about writers and composers. While reading, I try not to obsess too long on the micro-history of a person’s life. I try to limit my encounter with two books and perhaps a few scholarly articles. Contemporary music biographical interest is often assuaged by Internet Websites, NPR, VH-1 Behind the Music Cable Television shows, or local KPBS specials. However, when a book chances my way . . . .well, you know. It was a hit that encouraged lyrical improvisation and audience participation. Several generations later, thanks to the film “The Blues Brothers” Cab rode the audience wave with mischevious delight, hair flying and eyes twinkling in instigation like he did in the 1930s. audience to join in.”Wah -de-wah-de-wah-de-doo,” I’d sing. The book is 250 pages long with three appendices. The first is from 1944. It was quite in light of access today’s hip hop dictionary and culture books to discover that Calloway wrote ,The New Cab Calloway’s Hepsters Dictionary with alphabetical listings of “hep” or In-crowd folk’s slang. (Some words are not used anymore in the Black community, others remains fairly unaltered or somewhat altered in meaning today).6 The next appendix was written several earlier. Written with an audience friendly slant, Calloway takes his readers through good times, hard times, and situations that helped him realize the importance of carefully considering one’s options before reacting. 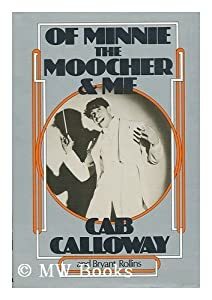 “Of Minnie the Moocher and Me could easily be considered a cautionary tale for today’s young music stars about why it is important to ride fame’s crest with humility and soul searching introspection. 1. Cab Calloway and Bryant Rollins, “Introduction.” Of Minnie the Moocher & Me, with illustrations selected and edited by John Shearer(New York: Thomas Y. Crowell Company, 1976). 1. 3. Alyn Shipton, “The Rise of the Big Bands:Cab Calloway,” A New History of Jazz. Revised and Update. (New York: Continuum, 2007),206 notes: With his Zoot suit, floppy long hair, wide grin, and cries of “Hi-de-ho,” Cab Calloway was one of the larger-than-life characters on the jazz scene of the 1930s. His singing was powerful and dramatic, with a repertoire of songsthat contained none-too-thinly veiled references to the Harlem drug culture of the time, featuring Minnie the Moocher and Smoky Joe. 6. Ibid, 253 for instance: “Chick” is still used for girl, “freebie” still means per gratis, 255, “corny” is still stale, “signify” in some instances still means to brag, boast, declare oneself 259. Others: “Wren” also a chick , “Twister to the Slammer”: key to a door. We’ll Understand It Better By and By: Pioneering African American Gospel Composers. Edited by Pioneering African American music historian and performer Bernice Johnson Reagon, as part of the Smithsonian Institution Research Project, this text is a must read for those who are interested in the origins of African American Gospel music beyond the myths and legends. Johnson http://www.bernicejohnsonreagon.com/shr.shtml is noted for many accomplishments including research compilations, historical writings, congregational singing workshops, and performances with the group Sweet Honey In the Rock. Reagon notes In the introduction of We’ll Understand It Better By and By, “The African American worship community–the Black church in it’s largest expression–has been the nurturing institution for one of the world’s greatest music cultures.” 1 She was nurtured in this community and presents it across the world to those who will read and listen. 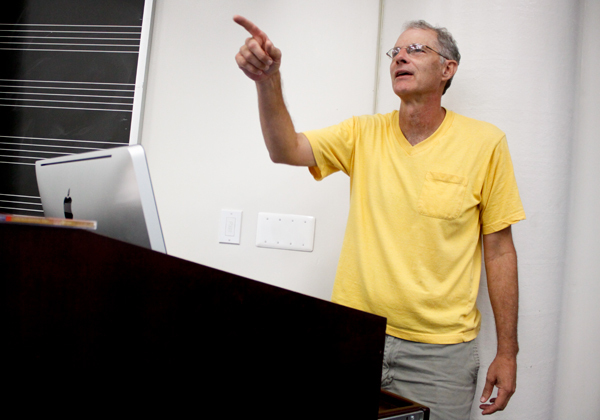 This project is a labor of love complete with historic photos, music examples and occasional music theory analysis. Its contributors include Horace Clarence Boyer who examines the life and struggles of Lucie E. Campbell, trailblazing woman composer for the National Baptist Convention. Anthony Heilbut’s essay brings much needed focus on the contributions of Gospel music composer Herbert Brewster. Pearl Williams-Jones explores the life, music, and lyrics of 1930s Gospel star Roberta Martin. As valuable as they are, the extensive annotated bibliography, works cited, Record Album Notes, and a recent Theses and Dissertations list take a while to examine. With these sections, the entire text is over over three hundred fifty pages. The effort . . . is worth the time. Essays in We’ll Understand It Better‘s are written with clarity in very accessible language and full of research talking points for high school students, college students, and academic music specialist. This text is a real gem. 1. Bernice Johnson Reagon, ed. 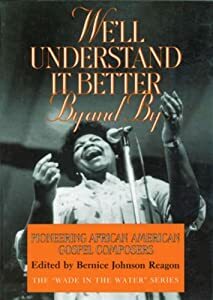 “Overview.” We’ll Understand It Better By and By: Pioneering African American Gospel Composers (Washington, Smithsonian Institution Press, 1992),3. Kip Lornell,ed. “Introduction” in From Jubilee to Hip Hop: Readings in African American Music, Upper Saddle River: Pearson Education, publishing as Prentice Hall, 2000. 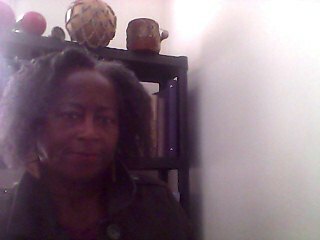 Working as a North American Black music specialist for the Center For World Music and as a Lecturer on African American music for the Department of Africana Studies at San Diego State University, provides me with access to many publishing houses lists of scholarly works. I gratefully receive several Black Music textbooks, readers, critical/popular culture and cutting edge Africana critical theory special topic works on African American music each semester. Publishers reading lists and review requests keep me aware of recent publications, or works in progress.1 In answer to several requests, I’d like to share another of these gems with you readers. A majority of the essays are from throughout the 20th century including an essay on Hip Hop, “Hip Hop, Puerto Ricans, and Ethnoracial Identities in New York” by Raquel Z. Rivera 3 which is one of the recent inquiries into invisibilized latino contributions to the genre. Lornell chose essays by such groundbreaking scholars as Lawrence Gushee, Lynn Abbott and Doug Seroff, Portia K. Maultsby, Rickey Vincent, Mark Anthony Neal, Cheryl L. Keyes, William Banesfield, Kip Lornell himself and Charles Wolfe. The compilation is a smorgesbord of intellectual appetizers, side dishes and “stick to your mental ribs” main entrees. Essays are accessible in language with writings from five to twenty-five pages long. However, average essay length is only seven pages. Lornell carefully selected authors who patiently present theoretical constructs and research methodologies for neophytes to experienced Black music researchers as they examine their essays’ topics. In addition to academic and “serious” topics, it is replete with popular culture trivia and humor. One complaint—–the smallness of its print font only the one Hip Hop essay. However, it is over 370 pages long excluding credits and index; its wealth of information and auto-biographical insights compensates. Whether one agrees with his premise or thinks he protests tooooooo much on the Eurocentric Black music flip side, this brief thought provoking essay can be compared to similar essays from previous decades which point to a constantly resurfacing conflicted lacuna which juxtaposes Black popular musics against the marginalized borders of Black Music academia. Kip Lornell’s compilation as a primary text is perhaps not the best use for its rich content at the undergraduate. There, it better serves as a supplementary text. On the graduate level of African American music study, it is a resourceful module to include among several semester texts. In either instance, From Jubilee to Hip Hop should facilitate many hours of productive classroom discourse on the complex multiple aspects of African American Music History. 1. I am grateful to participate in the text review process. It provides insights into recent research topics and methodologies. 2. Kip Lornell,ed. 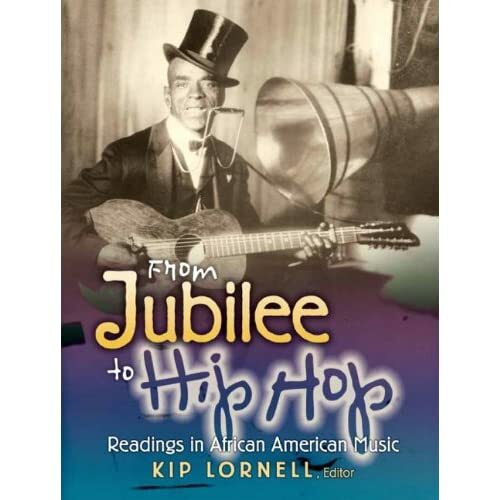 “Introduction” in From Jubilee to Hip Hop: Readings in African American Music, Kip Lornell, ed. (Pearson Education, publishing as Prentice Hall: Upper Saddle River, 2010), xvii. The essay: J.B.T. Marsh, Adrift n Stormy Seas,3-5 describes the singers first tour. 3. Raquel Z. Rivera, “Hip Hop, Puerto Ricans, and Ethnoracial Identities in New York” in From Jubilee to Hip Hop: Readings in African American Music, Kip Lornell, ed. (Pearson Education, publishing as Prentice Hall: Upper Saddle River, 2010),276-296. 4. Rickey Vincent, “The P-Funk Empire: Tear the Roof Off the Sucker” in From Jubilee to Hip Hop: Readings in African American Music, Kip Lornell, ed. (Pearson Education, publishing as Prentice Hall: Upper Saddle River, 2010), 267. 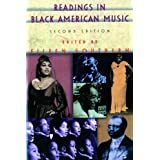 Eileen Southern ed, Readings In Black American Music 2nd ed.,W. W. Norton & Company , Inc. 1983. Dr. Southern provides a brief historical overview that includes the time period, the author’s crendentials-biographical material- and the circumstances that prompted the writings. Perhaps several of her twentieth century selections are the most revealing for African American music history students. She includes essays by composer-musicians from several Black music genres including comments by James Reese Europe, Will Marion Cook, Dizzy Gillespie, William Grant Still, Olly Wilson and one of my mentors, award winning contemporary composer Thomas Jefferson Anderson (T.J. Anderson). Anderson has been a bridge between the often classically trained avant gard black musician and those who have used the hearth of “inspired intensity” in electronic music and on the turntables of DJs who weave the Black aural tapestry of the 21st century. Watch the video below. 1. Eileen Southern ed. “Preface,” in Readings in Black American Music. 2nd ed. (New York: W. W. Norton & Company, 1983) xi. 4. Richard Jobson, The Golden Trade or a Discovery of the River Gambra and the Golden Trade of the Aethiopians Text: The original edition(London, 1623), pp, 106-107, printed courtesy of the Rare Book Division, New York Public Library, Astor Lenox, and Tilden Foundations. in Readings in Black American Music. 2nd ed. Eileen Southern Ed. (New York: W. W. Norton & Company, 1983) 1-3. 5. Daniel Alexander Payne, From Recollections of Seventy Years  in Readings in Black American Music. 2nd ed., Eileen Southern Ed. (New York: W. W. Norton & Company, 1983) 65-70. 6. Thomas Jefferson Anderson, “From Black Composers and the Avant-Garde: original text: Black Music” original text from “Black Music in Our Culture ” ed. Dominique -Rene de Lerma(Kent Ohio, 1970) pp 63-67 reprinted by permission of the Kent State University Press, Copyright 1970 by Dominique-Rene de Lerma in Readings in Black American Music. 2nd ed., Eileen Southern Ed. (New York: W. W. Norton & Company, 1983) 318-322. 8. Throughout the last couple of decades of researching African American music history in North America, several seemingly recurring patterns can be mapped onto the socio-cultural historical reality of Black people’s musical production. 9. See myhomepage series of reflective articles on select aspects of Hip Hop and Rap. 10. Thomas Jefferson Anderson, “From Black Composers and the Avant-Garde: original text: Black Music” original text from “Black Music in Our Culture ” ed. Dominique -Rene de Lerma(Kent Ohio, 1970) pp 63-67 reprinted by permission of the Kent State University Press, Copyright 1970 by Dominique-Rene de Lerma in Readings in Black American Music. 2nd ed. (New York: W. W. Norton & Company, 1983) 322. Music in North America and the West Indies from the Discovery to 1850: A Historical Survey. Maryland: Scarecrow Press, Lnc. Author Daniel Mendoza de Arce, 2006. If you are searching for a fairly comprehensive North America Music History book that starts from the early 1600s, I highly recommend this text. I use the qualifying words “fairly comprehensive” to acknowledge that contrary to tacit invisibilization of our sacred and secular American music traditions in most music history textbooks, Daniel Mendoza de Arce makes a strong argument that we do have traditions resulting from a blend of European, Native American, and African, music aesthetics since the cultures interacted. Early 1600s to 1850 is an enormous chronological and cultural scope to research. To continue the text into the twentieth century, Mendoza de Arce would most likely would have to have included Asian influences and cross pollination contributions from Mexican musical history as well. As it stands, the text is filled with a cornucopia of well-researched information about American “cultivated music” composers, the socio-historical contexts of their lives, their music, as well as the socio-cultural fabric of our emerging “American-ness” that helped to shape the music with which many of us only have a slight acquaintance. At the college level, the seven large chapters with sub sections provides an engaging critical perspective that is not for those whose reading skills are below par, whether music majors history or not. (For professors looking for a comparison, think Marie K Stolba’s prolix traditional music history text of about fifteen years ago). And de Arce’s use of the phrase “cultivated American music” in the preface and elsewhere may give some pause for adverse reaction (I know I did at first). That being said, professors and K-12 teachers will still find its modular chapter topics easy to adapt for classroom use that will meet WASC and VAPA academic standards. One of my favorite sections “Military, Outdoor, and Public Ceremonial Music” opens a window onto early America’s historical musical tapestry that remains intact with few alterations in twenty first century America. Both military and such civilian events as assemblies, hangings, proclamations, formal balls, picnics, as well as the ceremonies held by colleges, lodges, guilds, unions, and other organizations(eg., commencements, inaugurations, meetings, parades), usually required music, which would be provided from a range of small amateur or professional acoustic indoor (chamber) ensembles to large outdoor Military band ensembles. A majority of today’s instrumental performances, acoustic and electronic, are usually enhanced by sound amplified sound. Good old fashioned local parades still provide the flavor that once vibrated across our land–marching bands stepping lively to bass drums, snare drums, brass, and woodwinds in cadence. Music during various occasions serves as a socially unifying signifier a majority of public and private spaces regardless of ensemble size. Browse Internet multi-media interactive websites, count the use of music. Watch televised events, music usually accompanies advertisements, provides TV show theme songs, serves as a background for plot movement, and usually accompanies major political events. Although, I must admit, we rarely have campaign songs associated with presidential candidates that were as successfully linked to a president as Noble and Sissle’s “I’m Just Wild About Harry” was linked to Harry S. Truman. However, at campaign parties, music holds court to facilitate people’s interaction. And case in point: No matter who wins the American election this year, as in the past, music will most likely be part of the presidential inaugural event. In its celebration of diversity, the last inauguration musical presentation (PRE-RECORDED BY THE SAME ARTISTS OR NOT) of a traditional Shaker tune, arranged by John Williams, played by Isaak Perlman: violin, Yo-Yo Ma: cello Gabriela Montero: piano, and Anthony McGill:clarinet –stand out as one of my personal favorites in its resonance of “seemingly” simplicity and idealized Americanism. Daniel Mendoza de Arce (Ph.D. University of Uraguay) has assembled much information in a reasonably accessible text. I predict that it will provide many music history teachers with valuable information for decades to come.